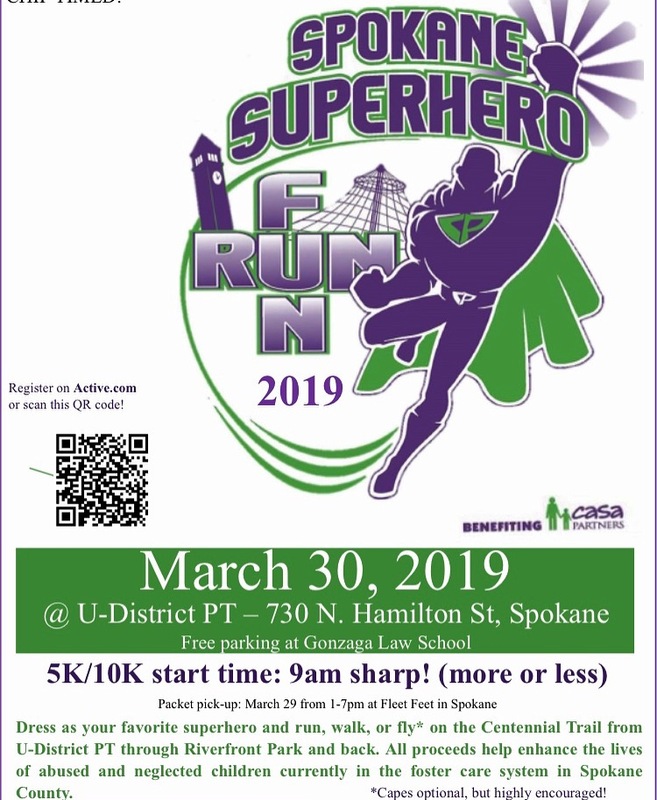 Come and experience the fun of Spokane's fifth annual Superhero Fun Run at 0900 am on Saturday, March 30, 2019. Warm up for Bloomsday, or come out and walk with the kids! Shirts only guaranteed if registered by March 15, 2019 at 11:59pm. Packet pickup: Fleet Feet in downtown Spokane (at their NEW Kendall Yards address... 1315 Summit Parkway). Pickup is from 1pm-7pm on Friday, March 29, 2019.